Red Pepper Quilts: Lady Belle Fabric and a Giveaway! Lady Belle Fabric and a Giveaway! It's time for another fantastic fabric giveaway! Lady Belle Fabric is owned and operated by husband and wife team, Rob and Brooke Becker. With an exceptional eye for color and pattern Brooke sources fabrics to inspire. Their goal is to bring to you gorgeous lines of fabric that are ready to go for your next project and to get them to you quickly. 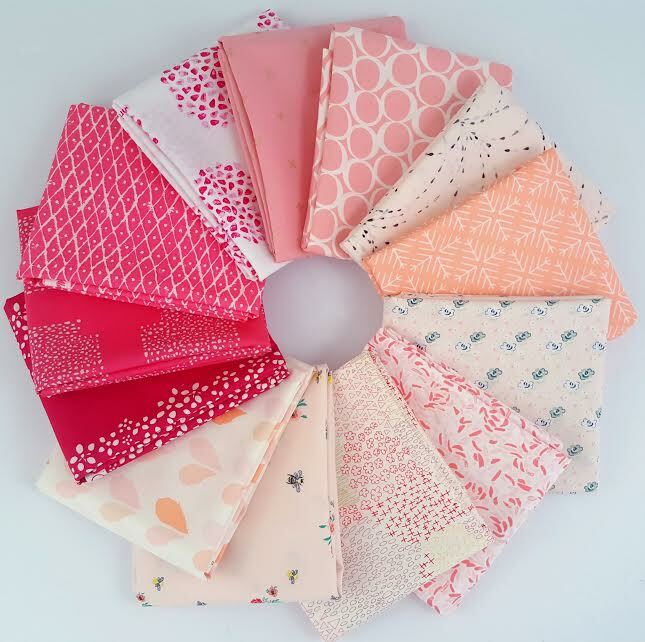 Lady Belle Fabric loves to carry carefully curated bundles of beautiful designer fabric that are fresh, fun, and modern, including complete designer collections and custom luxury Liberty Tana Lawn bundles. Recent arrivals include Sommer by Sarah Jane, Eastham by Denyse Schmidt, and Paperie by Amy Sinibaldi. 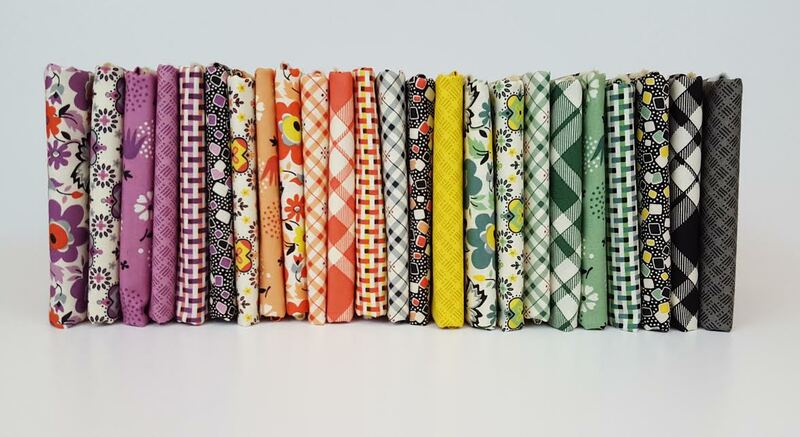 Vintage Picnic by Bonnie and Camille is also available and on sale! 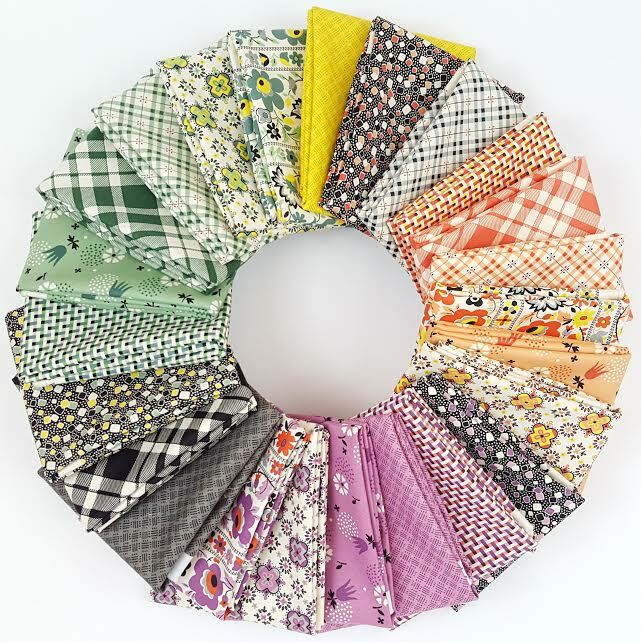 You'll also find a great range of patterns and notions at Lady Belle Fabric. Fabric may be my first addiction but notions, especially rulers, run a very close second! Also see ~ Clover Wonder Clips ... Aurifil Thread kits ... Quilt Kits and more! Friendly customer service and prompt shipping is their priority. Please feel free to email Brooke at questions at ladybellefabric dot com if you have any questions or would like request a custom order. Today Brooke is kindly giving away a Fat Quarter Bundle of the Denyse Schmidt's brand new collection - Eastham - to one lucky RPQ reader. And it is gorgeous! To be in the draw leave please a comment on this blog post. Only one comment per person/per email address - email me if you are not able to leave a comment (redpepperquilts at gmail dot com) and I will leave a comment on your behalf. International entries welcome! The draw will take place at 10am (Australia EDT) on Saturday 13 February 2016, at which time comments to this post will be closed. The winner will be announced by edit to this blog post, and will also be contacted by email. Thank you for all of your entries! Congratulations Hebe! Hebe has been contacted by email. 15% off Bundles, double gauze, quilt kits and notions! Ends Monday 15 February 2016. 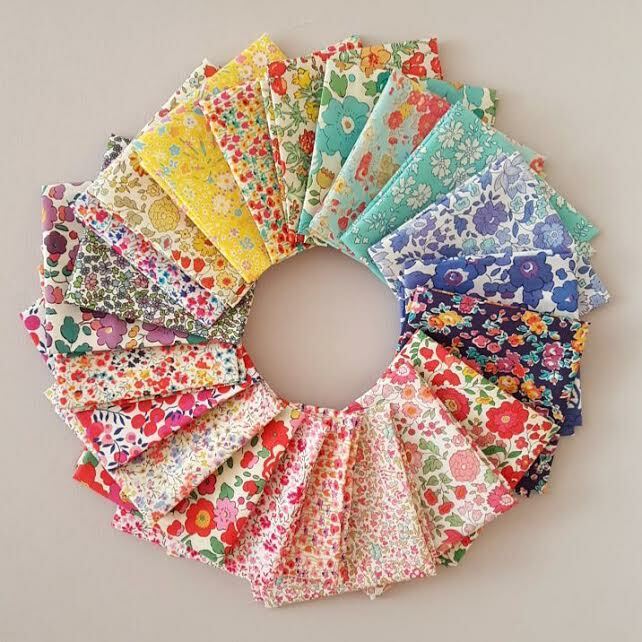 Eastham by Denyse Schmidt - now available from Lady Belle Fabric. Good luck everyone and thank you for supporting my sponsors! All photos provided by Lady Belle Fabric and used with permission.